Every fancied eating worm sushi or chugging moonshine straight from the barrel? 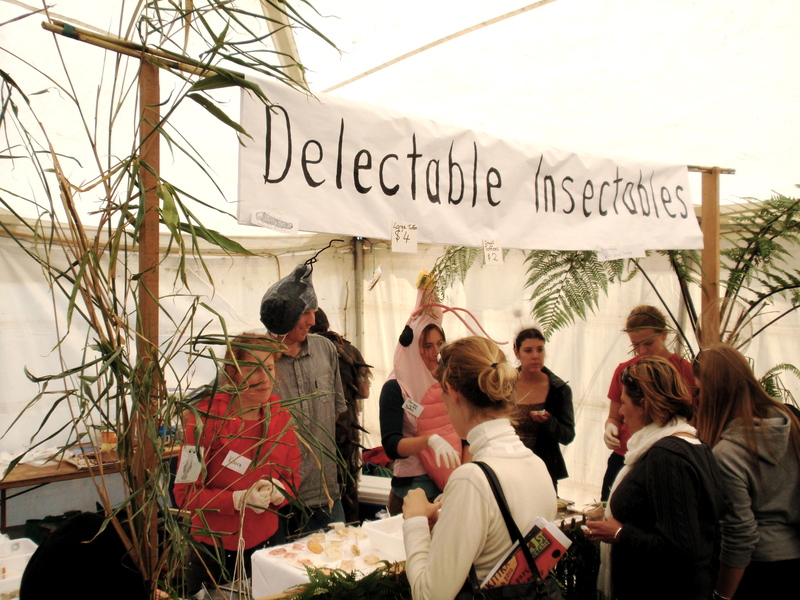 If you are on the South Island in March, make the pilgrimage to the small West Coast town of Hokitika for the Wild Foods Festival. Whether this is a celebration of extreme delicacies or just an excuse for Kiwis to costume up and get on the piss is hard to say. Either way, you can’t miss this full on display of debauchery. Don’t just head to Punakaiki to check out the Pancake rocks. 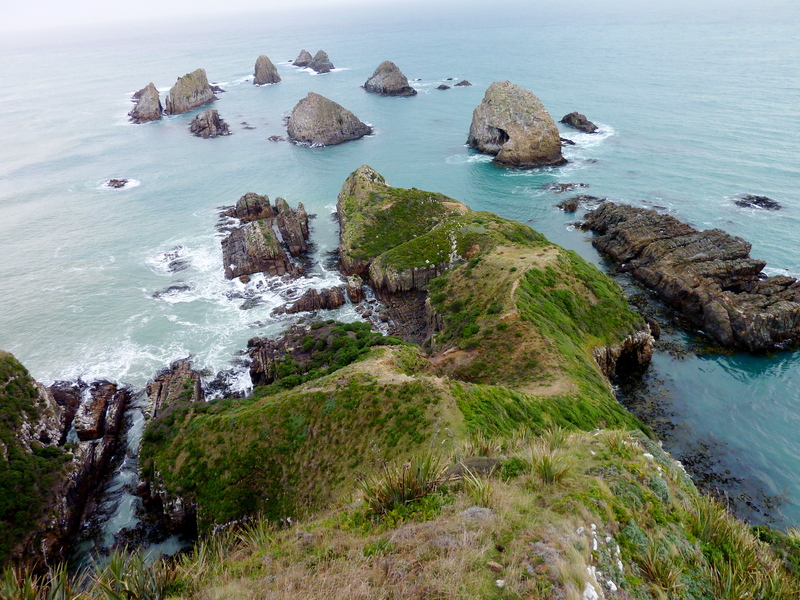 Spend an extra day or two to explore one of New Zealand’s most dramatic coastlines. Hidden in the thick cliffs of rainforest are a string of underground caves and astounding rock formations. Spend the night under the Ballroom Overhang or explore Fox River Cave as you trek along the Inland Pack Track. If not camping, there are plenty of quirky lodges and backpackers to hunker down right on the beach. Nearby Gibston Valley receives all the tourist traffic from Queenstown leaving Bannockburn a peaceful oasis for wine lovers. Nicknamed “the heart of the desert” for its warm, dry climate, this region straddles the arid hills of Central Otago. Check out the Pinot Noirs at Akarua or Carrick, and grab some lunch at the hilltop restaurant at Mt Difficulty. While you can still make out Auckland on the horizon, this laidback island feels miles away from the inner city. With bush walks, secluded beaches, chill cafes, and wine tasting galore, there are plenty of ways to kick back on Waiheke. Hop on the ferry from Auckland’s CBD and dock in a summertime paradise 30 min later! Touted as one of the world’s greatest rail journeys, this twice-daily train departs from Christchurch through the Canterbury plains and into the heights of Arthur’s Pass. As you bisect the center of the South Island and plow through the Southern Alps, head for the viewing train where you can witness the transformation from the arid east coast to the rainy west. Use it as a stopover on your way out to the East Cape or spend a few days exploring the local Māori culture, Whakatane is the Bay of Plenty’s most picturesque town. Nestled below bushy cliffs where the Whakatane River meets the Pacific Ocean, this snug township is full of seaside accommodation and tantalizing fare. Head to any warfside restaurant and ask for the fish of the day – it will not disappoint. New Zealand has several great walks, but only one great bike trip. This multi-day path along the former tracks of the Otago Central Rail links a series of small hamlets in the farm-covered plains of Central Otago. Want to see the “real New Zealand?” Pick up a bike in Clyde and spend a few days daydreaming in the countryside. This lake was extracted from Heaven and placed in New Zealand. Its dazzling, pale blue water is the spectacular result of glacial sediments from the last ice age. Stop in at the Church of the Good Shepard and pack a picnic lunch because you will want to stay and stair into the dreamy waters of Tekapo for a while. While tour groups crowd up the waterways of Milford, Doubtful Sound remains a faraway fantasy. Three times the size of its famous neighbor, Doubtful is about as remote as you can get. Waterfalls pour off mossy green cliffs as you cruise through the misty mystery of this otherworldly land. Tours start on the far end of lake Manapouri, continue along Wilmot Pass to Deep Cove and wander along the sprayed fingers of this forgotten fiord. How this remains a well-kept secret is a mystery? The Catlins jut out from the mainland two hours south of Dunedin at the southernmost tip of New Zealand. Rugged, windswept beaches, glowing lighthouses, and a rich maritime history make this the perfect place to spring to life with the salty slap of the sea. Craving a deck chair on a porch in the woods by the sea? Spend the night in the Lendz Reserve at Tautuku Lodge for an affordable cabin in the bush. have any more suggestions? share them below!